Yesterday, I was really happy to be home, eating normal food, sleeping in my own bed and not having to deal with teeny bathrooms, gross bidets and stupid hair dryers. Today, I’m nostalgic and sad the trip is really over. We left off with me telling you about a prosciutto tasting we were headed out to. I’ve eaten a lot of prosciutto in my lifetime coming from an Italian family where every holiday involves some sort of meat platter as an antipasto. I thought I was eating the good stuff considering we always go for the astronomically priced imported version until I tasted this….Prosciutto de Parma, in Parma from a family run small business in the Italian countryside. It was seriously one of the best food experiences of my life. If the stupid people at customs would’ve allowed me to take meat back to our lovely country, you can bet all your life’s earnings that leg of pig would’ve been coming home in my suitcase instead of my dirty clothes. Priorities. As if Parma hadn’t already won my heart with the prosciutto it had to go and be all gorgeous and charming in it’s perfectly sized small city with cobblestone streets sort of way leaving me wishing we had more than 2 days there. It’s now officially taken over from Siena as my all time favorite Italian city. I will be back. After Parma we headed to Lucca which was almost as cute and had a completely intact 4 km wall around it that we walked before getting my first salad of the trip for lunch…7 days after arriving. If someone could please explain to me how I saw maybe 2 overweight Italians the entire time I was there and yet all I was fed was pasta, sugar and wine, I would be grateful because right now I’m convinced they must be some sort of alien life form. 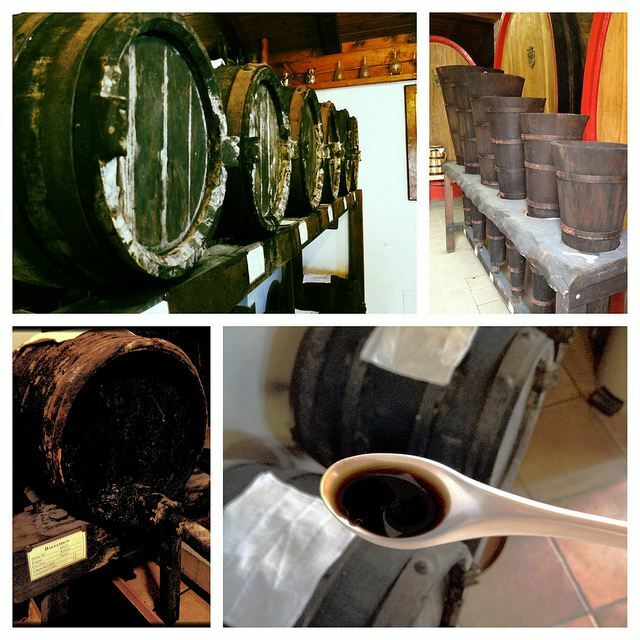 Before our next city, we headed to a balsamic vinegar tasting at a small family operated “factory” (it was really more like a farm). People, do me a favor, go read the back of your balsamic vinegar and if you see the words “caramel coloring” promise me you’ll throw that crap out and buy the real stuff. Don’t feel bad, I’m guilty too. I just assumed there wasn’t anything to “discover” on that ingredient list. Wrong. After tasting 5, 20, 30 and 100 year old balsamic vinegar I can assure you there is a SIGNIFICANT difference in the good stuff and the fake colored crap most grocery stores sell. I came home with a 40 Euro small bottle of juniper berry balsamic vinegar that I’ve forbidden Ulysses from touching. This is not the “pour it on your salad” kind of vinegar. I’ve got some delicious meat recipes brewing in my head for this stuff. Cinque terra and Santa Margherita were next. I was actually the most excited for Cinque Terra and subsequently the most disappointed. The weather wasn’t ideal that day and the boats weren’t running from one city to the next in the Cinque Terra line up so our tour director decided to take us by train instead. Great idea except the only problem was that every.single.other.tour.company had the same idea. Being shoved into an overcrowded train with every square inch occupied by another tourist speaking a foreign language and not wearing deodorant (I’m looking at you, smelly French people) was not really my idea of a fun time. I thought we’d be good once we were off the train but the cities themselves are so small with literally one street that it was like the running of the bulls except no one was running. Slow walkers are pretty much my nightmare so that was a fun test of patience. Santa Margherita on the other hand was lovely. The perfectly sized, seaside city where we had one of the best meals of our trip at a quaint little seafood focused restaurant, Il Ristorante Nostromo. 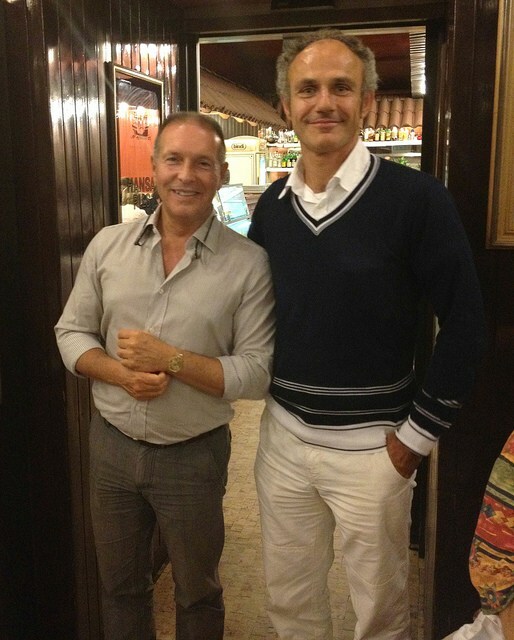 The owners were two young guys, one as the chef, the other as the host/waiter who as it turns out, grew up in the village next to where our relatives are from outside of Genoa. And because we hadn’t been drinking enough wine (ha), we also visited an Asti Spumante factory (Italy’s name for Champagne). 3 glasses of that before lunch will leave you feeling slightly lightheaded in case you were wondering. And if you never actually eat lunch and just go to another factory where they make torrone instead, you’ll experience this weird sort of drunk/sugar high that is fun for about 20 minutes. In my next life, I’m coming back as a torrone maker. We ended the trip in Torino (Turin) where the highlights were eating at Eataly in it’s original location (finally some vegetables!) and delicious gelato. Although, the gelato part could be said for every city. The best part of the trip besides the food though was the people. We had a completely full tour of 44 people. Odds of getting at least one jerk are pretty high with those numbers and yet every single one of them were awesome. I’ve never had so much fun with people more than twice my age in my life. The front desk staff were definitely not as enthralled by his performance as we were. And last but not least, our tour director (left) and bus driver. Equally talented in their own right. Massimo (the bus driver) got more than a few rounds of applause on the bus for some of his maneuvers in those tight Italian streets. He’s also adorable in that cute middle aged man type of way. It was 11 years between my last trip with my mom and this one. If we wait that long again, I’ll be 41. I’ve vowed to not let that happen because 1. that’s just too long and 2. I can’t even fathom that age right now. I want to go back! …..
What a fun time! I want to go to Italy!! The gelato!! Oh the gelato!!! 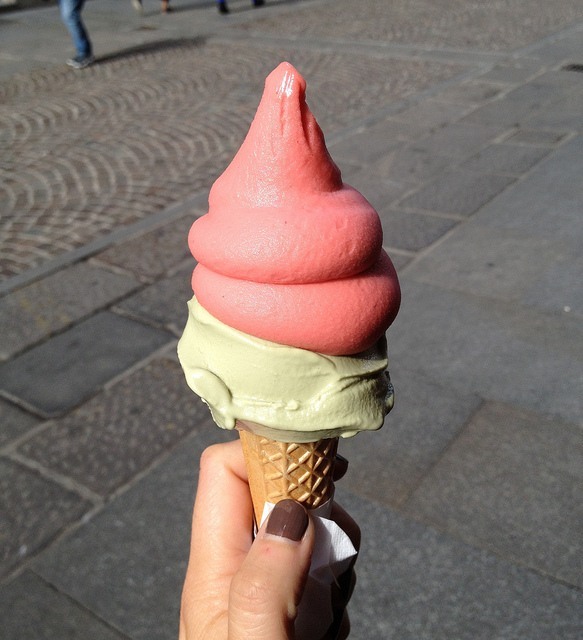 Thats my goal to have a gelato ice cream come in Italy!!! What gorgeous pics. I can’t wait for us to go there one day. I had to giggle at the 41 comment. I’m nowhere near it yet myself but with as fast as time is going, it’ll be here before you know it. Savor every moment! 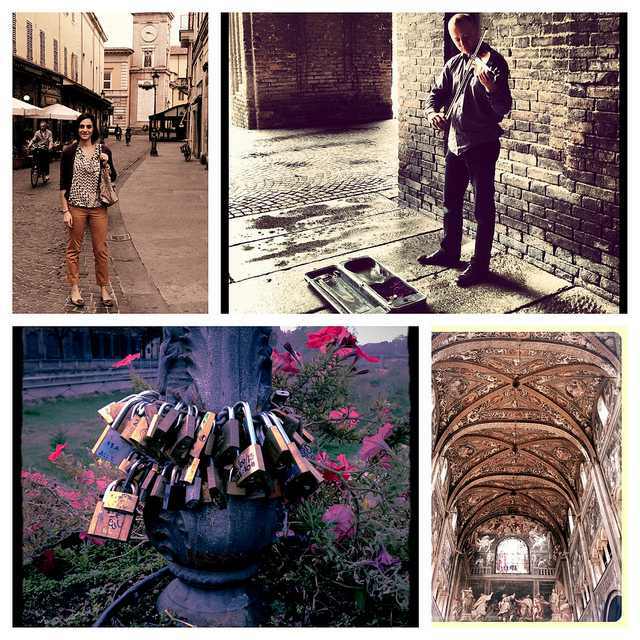 Love the archway pictures and of course gelato!! Greetings! I recently found your blog and am enjoying your posts very much. Your trip to Italy looks like it was incredibly fun and special. 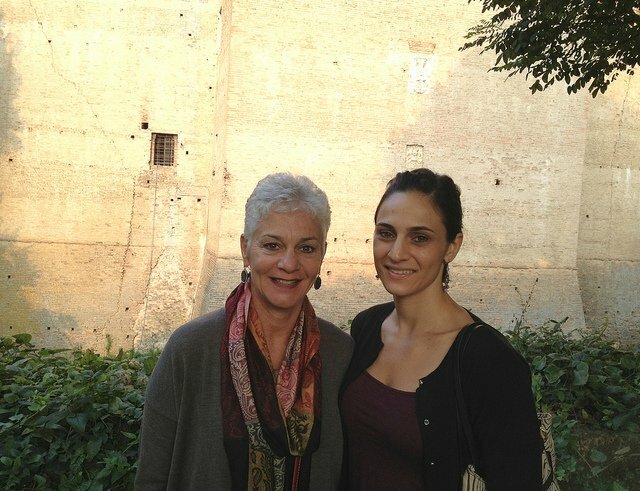 How great that you could go with your mom! Although I won’t be 40 until January, I remember well thinking I couldn’t fathom 41! Now, it’s just around the corner! Ahh…time. 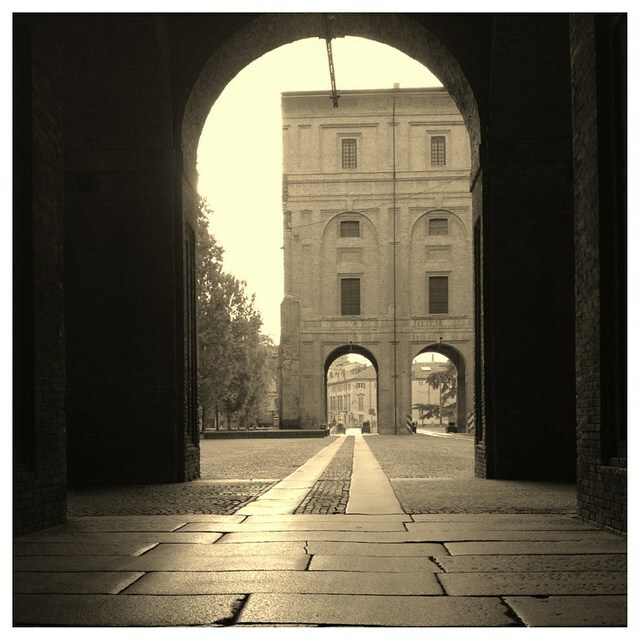 On a different note, love your Crossfit Milan pics. My husband is a Crossfit fanatic; been at it for going on 4 years now and he loves it. Good stuff, that. I just started that Couch to 5K deal and, having never been a runner, am finding that I really am enjoying that gradual pace it is bringing me into something I thought I was going to hate. Did it really work for you well? Or did you add some running in there on your own to get to where you are now. We were on our honeymoon in Italy a year ago and you’re making my heart ache for Europe! Thanks for sharing so many amazing photos! I absolutely LOVE Italy. Love your honest opinions and I’d DIE to eat the proscuitto! Gorgeous shots! This looks like the trip of a lifetime. I loved following along on IG. So glad you had a great time! so so so so so jealous of your trip. Italy looks beautiful. I’m glad you had a great time. I am so so so so so jealous. 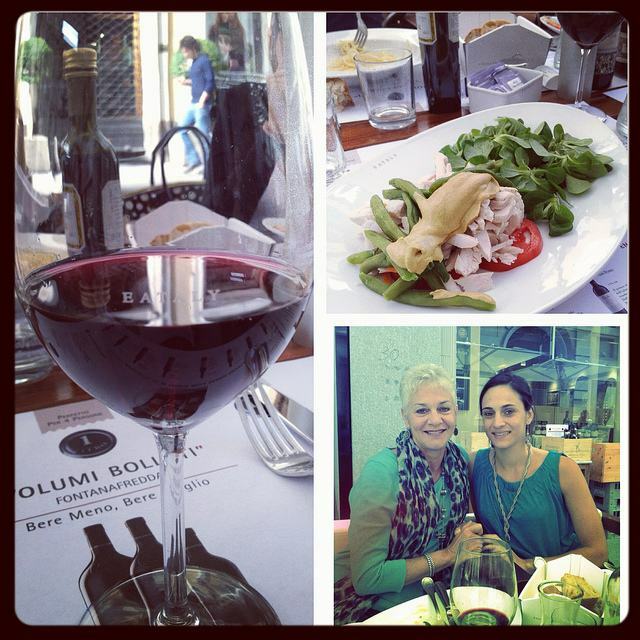 Between the history, the views, the wine, and the meat…..I’m green with envy (seriously, if you were here, you’d see). Looks like the trip of a lifetime, Gina! And I truly hope it’s not 11 years before you can get back again, too! 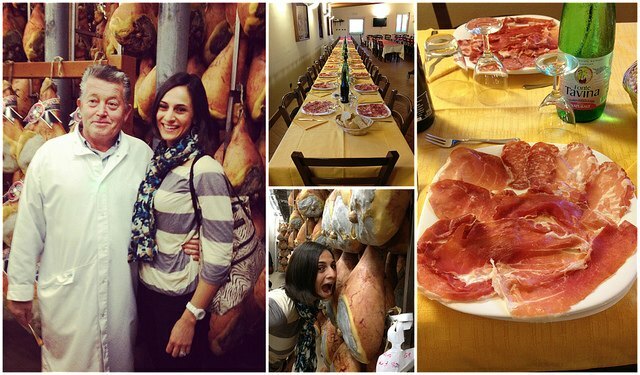 great photos..I’m drooling over that Prosciutto ! Thanks for sharing! Awesome photos! This looks like a blast :) I need to get back to Italy sometime soon… love it there. A newbie to your blog, this is lovely! I have fond memories of my last trip in Europe. Married to a guy who had to be coerced into a month long cruise where he actually had a better time than I, he doesn’t mind if I go with friends, family, or by myself. Many of my trips were in conjunction with volunteering to translate in Spain for a fellow group of physicians and scientists (great excuse to extend a trip, no?) Not a fan of most bus tours after a month in China 15 yr ago, now I’m getting older I’d definitely be interested in another trip, perhaps tour, with a theme or two thrown in. Alas I have hit the dreaded 55 so I’m not nearly as spry as I was at even 40 (dang lupus/arthritis) though get around with decent agility. May I ask what company you went with and how you decided on which one to take? (On one trip that included Spain and Italy, I did bring back jamon iberico. What ignorance, no?) Thanks! Hi I’m Gina’s mom. We took a Globus tour. Did one with Globus 11 yrs earlier and had a fun time, so we hoped that this time would be as good. It was. The group of people we were with were tons of fun. This tour was choosen 1. for the food 2. the length of the tour 3. it included smaller cities and regions of italy that we had not seen yet . 4. it was near family, so we could easily extend the vacation and visit them by train. my recommendation … go, do it if you want to. Was a great time. Don’t worry about the age thing. We had someone celebrate her 81st birthday on tour with us. She was one of the most fun people I’ve ever met. I miss travelling so…I love the pics, looks like fun. Just so ya know, I’ve made it past 40. This is what happens, life gets better, because we become more sure of ourselves, and who we are. Body gets worse, because we’re getting old! so glad to have you back! the pictures look so fun and i loved your outfits!! 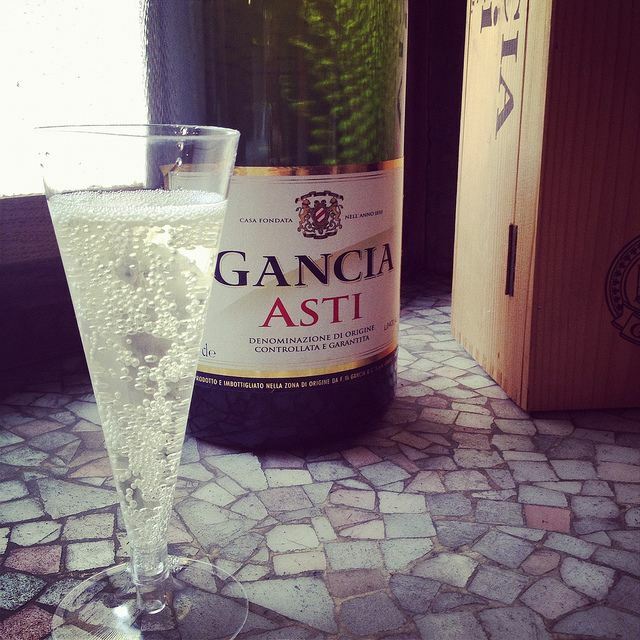 you’re very fashionable :) that asti is CALLING MY NAME, omg i’m sure it’s amazing in Italy. Gah, so jealous of your trip but it looked like a ton of fun! !